Built in 1982 by Aabenraa Vaerft A/S, Denmark, #39 as LILLE BIRGIT for P/R Lille Birgit. Coaster, Gt:299, Nt:171, Dw:460, Loa:48,40m. B:8,50m. D:3,41m. draught:2,90m. 5 cyl. Gallesen engine:575 hp. 10 kn. IMO.8101989. 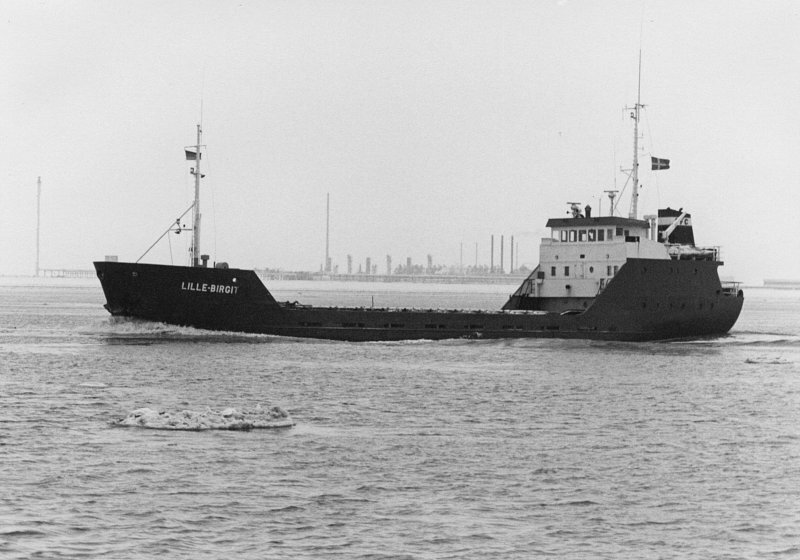 In ’89 sold to Glenlight Manx Ltd., Ramsey, renamed in GLENFYNE, ’96 to Oddmar Rekstad, Sorvik, Norway as KYST, 2011 in service. (Isle of Man 1992, 40 p. StG.530) LR95/96 + internet. 15 June 1981 keel laid down. 1998 Sold to B. Rekstad & Sonner Ans, Sorvik, Norway, not renamed. 2018 Same name and owner.